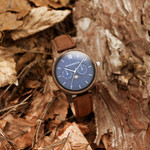 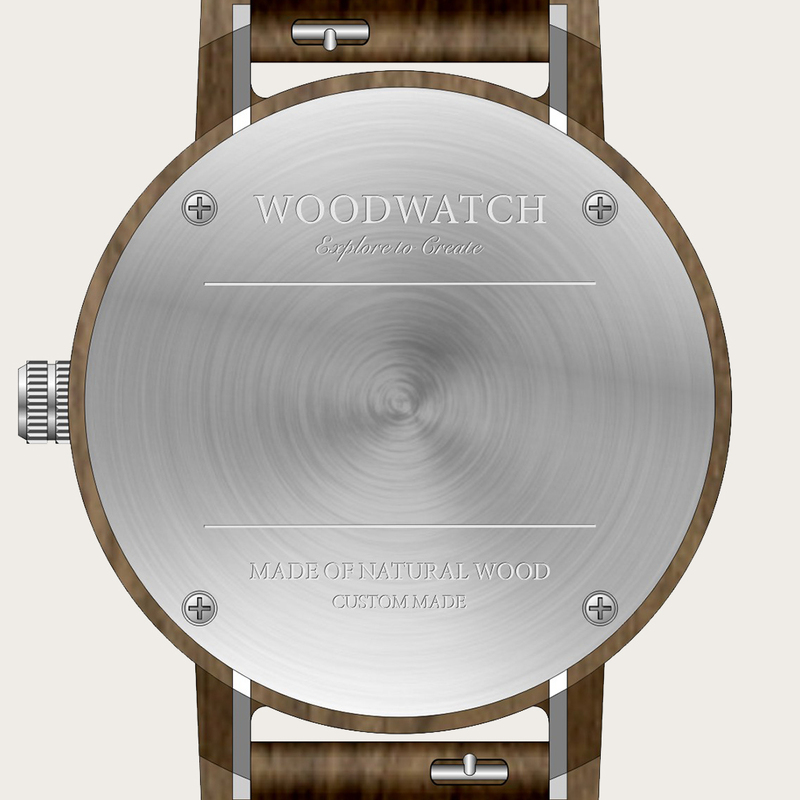 The CLASSIC Collection rethinks the aesthetic of a WoodWatch in a sophisticated way. 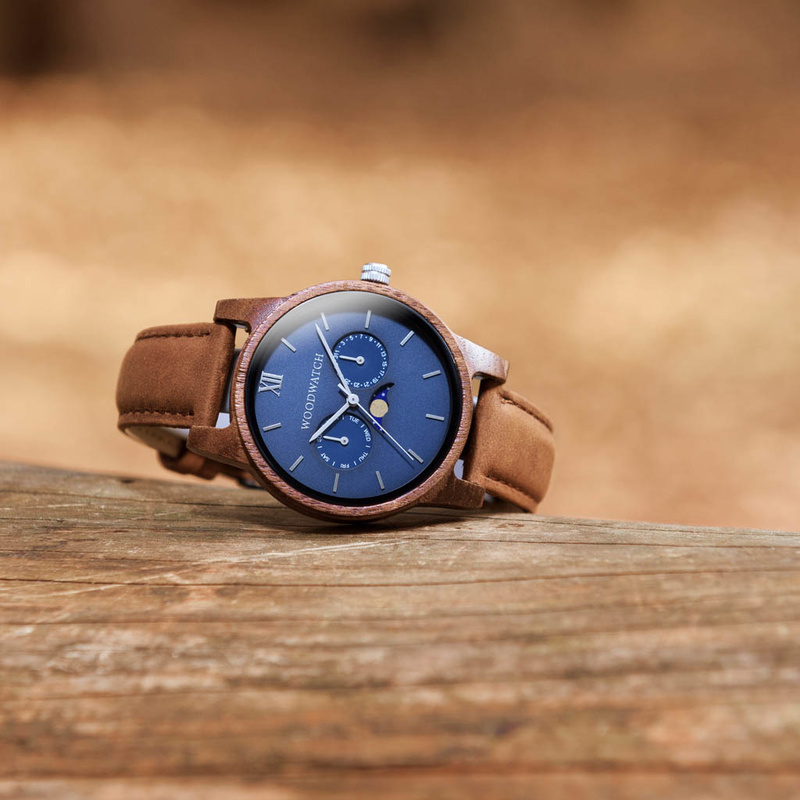 The slim cases give a classy impression while featuring a unique a moonphase movement and two extra subdials featuring a week and month display. 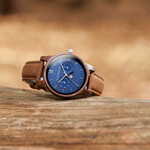 The CLASSIC Mariner Pecan is made of North American Walnut Wood and features a blue dial and silver-colored details.